Coming to Tara Lynn’s Fashion House is a special experience. 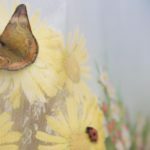 Contact Tara Lynn for a truly unique Vermont handmade wedding dress. Nestled in the mountains, Tara Lynn is inspired by the wildlife around her and creates one of a kind works of art for bold and beautiful woman. When you order a custom wedding wedding dress Tara Lynn will with work with you one on one as she sketches, drapes and designs you a Vermont handmade wedding dress to fit your body and your personality. 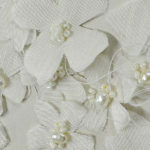 She will truly capture your spirit and bring your vision to life in a couture wedding dress. Fittings can be expected to take 2-4 hours as Tara Lynn pins, clips and forms the fabric to your body making sure you are comfortable and happy every step of the way. All fit samples are made in the actual fabric so we can see how it drapes and performs. Tara Lynn then makes the necessary pattern adjustments and will ask that you come back for another fitting the next day or at a later date. 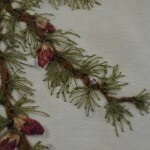 Typically 3 fittings are needed for a proper custom made gown. Sometimes we can do it in 2, sometimes we need 4. 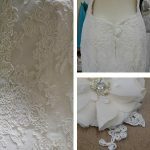 During the fitting process Tara Lynn wants you to feel comfortable to express what you like and don’t like about the fit and design because in the end what makes her most happy is that you absolutely love your Vermont handmade wedding dress. We encourage you to bring a friend, your parents or fiance. Between fittings there are plenty of things for you and your guests to do. Tara Lynn created a list of recommended places to stay, eat, and recreate in the Northeast Kingdom of Vermont. Tara Lynn Bridal is located on 92 acres in the heart of the Northeast Kingdom of Vermont: a natural playground for anyone who enjoys hiking, mountain biking, canoeing, rock climbing, ice climbing, skiing, or riding. The area is surrounded by hills and valleys, lakes and rivers, and secluded wilderness. If you like biking or skiing, you need to check out Kingdom Trails, Named THE BEST OF NEW ENGLAND by Boston Magazine Travel & Life. Located in East Burke, just 10 minutes from Tara Lynn Bridal, you can mountain bike, hike, cross country ski, or snowshoe. Tara Lynn’s studio is located 15 minutes away from Burke Mountain where you can ski or ride between fittings. Or in the summer, take advantage of the lift for some crazy downhill biking. If you are interested in rock climbing or other out door adventure Tara Lynn can recommend some nice spots. There are plenty of bike and equipment rentals in the area. 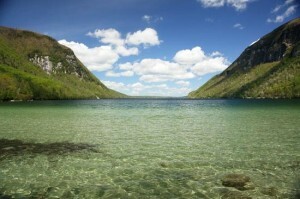 Lake Willoughby offers fresh cold water swimming and a State Forest. A hike around the lake or to the top of Mt. Pisgah for some amazing views. Rent Kayaks or a canoe and paddle the edges of this amazing lake. The Rabbit Hill Inn was awarded by Travel and Leisure in 2017 as the #30 Best Hotel in the world and #6 in the USA. Offers lodging and dining. The Inn at Mountain View Farm has romantic and breathtaking views. It is where many of the photos on our website were taken. The Burke View Inn is owned by a dear friend and is a home away from home. Pet Friendly too. The Derby Line Village Inn is highly recommended for it’s German cuisine. Paula and Fritz will take great care of all your dining needs. A slightly further drive from our studio, clients who stay here day trip into Quebec, Canada between fittings. Stepping Stones Inn & Holistic Spa, located on Darling Hill, is in the heart of Kingdom Trials. Go biking and get a massage between fittings. The Village Inn of East Burke is a quaint B&B on route 114 walking distance to several local restaurants. The Willoughvale Inn and Cottages are located on the shores of scenic Lake Willoughby. Most clients fly into Burlington, Vermont and rent a car for the weekend. The airport is a scenic 2 1/2 hour drive to Sutton. Public transportation is limited. Amtrak train stops in Montpelier about 1 hour from Sutton, Vermont. Sutton, Vermont is a small rural town, having a population of 1,029 people in 2010, and is located near several large state parks. Cafe Sweet Basil is great for lunch and dinner, open Wednesday – Saturday. 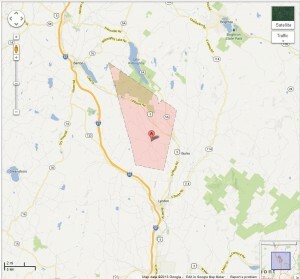 Located in Lyndonville, VT. The Freighthouse farm-to-table cafe, located in downtown Lyndonville, VT serves locally raised organic dishes and is open for breakfast and lunch. The Grindstone Cafe Lattes, Espresso, Tea and fresh baked goods daily. Closed Sundays. Located in Lyndonville, VT.
Bailiwicks in St Johnsbury, VT for lunch or dinner. Kham’s Thai Cuisine in St Johnsbury, VT for lunch or dinner. Derby Line Village Inn a scenic drive, excellent for Sunday brunch and just another hidden jem in the NEK. St Johnsbury, Vermont is a half an hour from Tara Lynn Bridal and offers historic buildings such as The St. Johnsbury Athenaeum and Fairbanks Museum, art galleries, clothing, antique shops, restaurants, and natural foods grocery. Lyndonville, Vermont, just 15 minutes from Tara Lynn Bridal, has restaurants, unique antique shops, and Green Mountain Books.